Helping you Help your Child! When you think of a fashion show, you might think of tall, skinny models strutting down the runway in extravagant clothing. But SEP is delighted to host a Fashion Show that offers a completely different kind of experience. 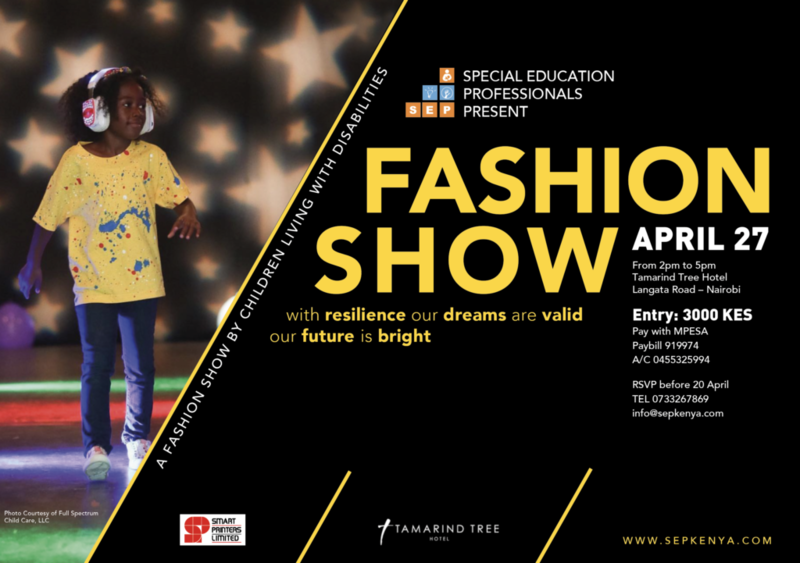 A fashion show by children living with disabilities. The models shall conquer the runway in their own inspiring way. Among the models there shall be children with autism, down syndrome and cerebral palsy. The runway walk for the children will be truly moving. We will constantly be reminded that we must completely shatter the notion that our brothers and sisters living with disabilities cannot make a difference in this world, or cannot make a significant change in our society. These boys and girls are a symbol of hope, love, and peace, and how there is no challenge so difficult that cannot be overcome by people who support and help each other.